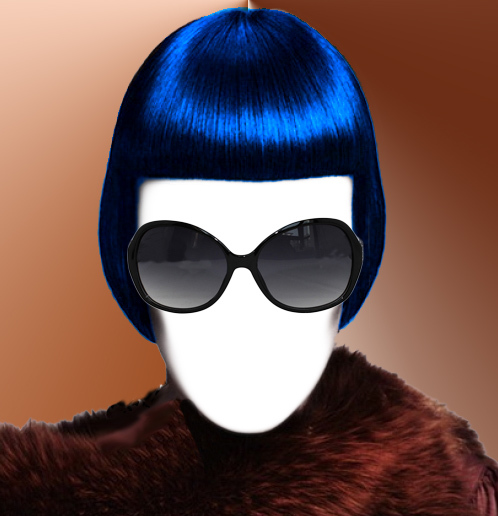 I think I can help you navigate through this, and if you are to buy eyewear online you need to know this….as someone who has made a career in fashion, I find the simplest way is to identify your face shape is with a celebrity. Using these very familiar faces, which you may not have thought about their faces in terms of the shapes that they represent..but well here we go. First comes the square face: a broad forehead, strong squared jawline and chin…..examples I can think of..Angelina Jolie and Johnny Depp with these very angular square faces they can wear (and they do) round glasses, aviator frames and Angelina could wear cat-eye frames too. 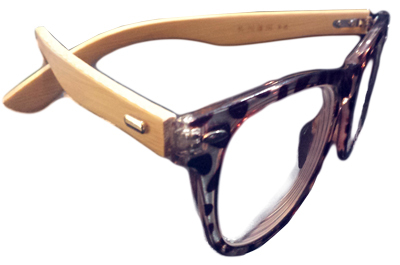 And if you follow the link to my site for round glasses you will see Halle Berry wearing a round pair. Picking sunglasses for your face shape is not that hard. Anyhow, I digress; the heart shape is softer with the broader forehead and small chin. I find a great example is Reese Witherspoon/ Jud Law. On the other hand, the diamond shape is a bit more oval-like and seems to be wider in the cheek bones at times; but wider through the jaw line creates that same shape we see in the heart shape with less emphasis on the forehead. A great example I think would be Jennifer Lopez. The triangle shape I feel is also very similar (it’s an upside-down triangle point facing down) The emphasis is on the forehead with an even pointer chin..but maybe less definition around the jaw lines. Of course there are many variations of these but generally, these are the clear shapes that I see. And you are right these are really similar to the oval shapes and I see people on the web often mix these with each other. (In fact, I often see people with clearly square faces identified as triangle!!) A clearly defined example of a triangle shape I think is Tyra Banks. 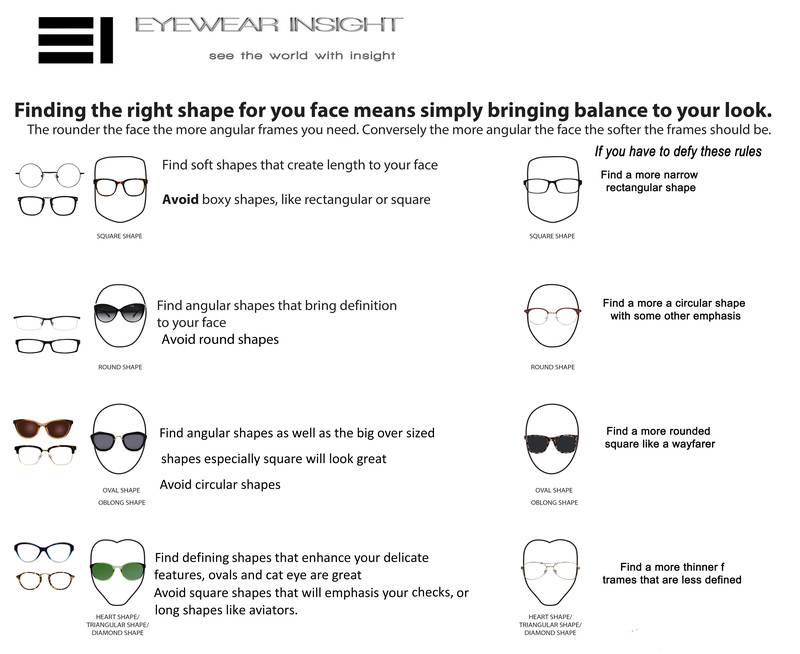 These great features need great emphasis on more defined shapes…oval frames will include wayfarer frames, cat-eye frames Square shapes can end up making your jawline wider, but how close to heart shape are you rather than the triangle? If you are a triangle with a much smoother jawline square or really more rectangle frame shapes might just be the way to go! So yeah, there’s nothing like physically trying on the eyeglass frames; but even when seeing our images in the mirror if you are semi-blind (as I am) you won’t be able to really see as the frames have clear lenses on them…and if you can, are you picking the right one? Let’s touch on a few things; when it comes to style it really depends on what you feel comfortable wearing…and since lately we are all into “big” frames I would say that the frame still has too fit your face. If you look at the round face example on my picture you see “her” wearing a rather large pair of cat-eye sunglasses but if you look closely the shape is a bit rounded..not exactly the best for a round face..but with the cateye curve up it emphasizes an upward movement it draws the eyes up. You must also pay attention to the fact that the glasses frame the face…you can see the sides of the cheeks past the frames (a little) this is good…otherwise, we look like we are drowning in our sunnies! Though I must say some like this look…. Anyhow, try not to get bogged down too much with these as they are really quite objective and as we all know beauty is in the eye of the beholder and apparently so are shapes…just have fun with your glasses and try to experiment! Also remember that every face changes when our weight changes, when our hair is made in a different way. So what looked good before may not look good now. How to pick your frames..